Congressional Democrats are taking a closer look at the U.S. missile defense program, partly in an effort to pare down its high price tag. The Democrats are raising questions about the effectiveness of the anti-missile program and investigating whether its testing regimen is realistic enough to demonstrate its capabilities against real attacks. Critics have long contended that the program's tests are too predictable. The scrutiny comes as the United States is at a sensitive moment in negotiations with Poland and the Czech Republic to build part of its shield on their territory. Lawmakers are questioning the security value of those plans against stark opposition from Russia. That story in yesterday's news is very timely for me because I've been reviewing some of the past works of one of my favorite authors: Jerry Pournelle. The Mote In God's Eye by Larry Niven and Jerry Pournelle is probably my all-time favorite science fiction novel, undoubtedly one of the best first contact stories ever written. 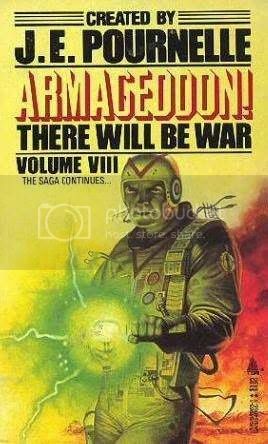 I first read it in 1975 while stationed at March Air Force Base in sunny, southern California. That was when the Cold War was heating up again as the Soviet Union built up its military forces to alarming levels. My unit was a B-52 bomber wing, part of the Strategic Air Command, and I always thought my modest contribution to national defense had some merit. I felt that way because I knew that somewhere in Siberia there was probably some Russian gomer much like me assigned to their Long-Range Aviation, at some Tu-95 Bear bomber base. 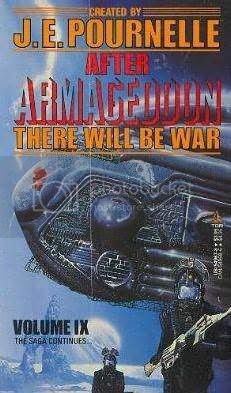 One thing about Jerry Pournelle: he hated strategic deterrence, the whole concept of Mutually Assured Destruction, gleefully called MAD by its detractors. The idea of two superpowers pointing their nuclear weapons at each other with no real defense against them did make for some awful nightmares and many a good science fiction story. But (I believe) it kept the peace. It worked. I will always believe that the stakes of that awful game had to be high to keep it honest, else one side or the other would get the notion that a nuclear war was somehow justifiable, or winnable. [img2=left]http://i81.photobucket.com/albums/j219/Kosmosflot/Pournelle/t18481.jpg[/img2]History has not been kind for much of Jerry Pournelle's written works, but they are still a great pleasure to read. I consider his CoDominion stories to be some of the best, a future history where the USA and USSR grudgingly join to share world control, stifle scientific research and development, and, much later on, have an amazing encounter with "intelligent life from off the Earth," to quote Dr. Haywood Floyd in 2001: A Space Odyssey. 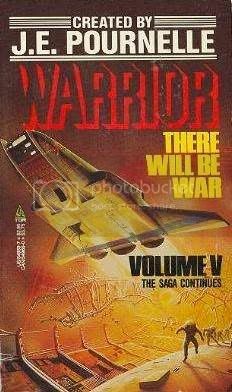 Over the past few weeks I've been reading some of Jerry Pournelle's There Will Be War book series, which was co-edited by John F. Carr. Filled with collected short stories, poetry, and political essays by various authors, the series served as a bully pulpit for Jerry and his conservative views. One common theme was his call for the construction of the original Strategic Defense Initiative (SDI), often referred to as "Star Wars" during the Reagan era. In almost every issue of There Will Be War, Jerry would demand a crash development program for anti-missile lasers, interceptor missiles, "brilliant pebbles" orbital weapons and such, so that the US would move away from Mutually Assured Destruction to an Assured Survival defense against Soviet nuclear weapons. To be frank, I never believed it would work for the main reason that so much of SDI would be easily thwarted with countermeasures, decoys, and other inexpensive, low-tech alternatives. And, of course, it never had to be because the Soviet Union imploded and ceased to be. I am still skeptical when I read about the recent anti-missile test shots firing out of Kwajalein, and I surely don't want the US to spend billions of dollars for an anti-missile defense that may or may not work as advertised. Do we really need to spend mega-billions to counter a dubious threat from North Korea or Iran? Surely there's far better ways to spend those Pentagon dollars, perhaps in Afghanistan. And, I'm glad to report, my unit, the 22nd Bombardment Wing (Heavy) is no more. The huge B-52 D models are scrapped in the bone yard, while the 22nd carries on as an in-flight refueling unit. I'm glad because I know that somewhere in western Siberia, a Russian Long-Range Aviation unit was also deactivated, its Tupolev 95 Bear bombers chopped into segments as scrap, its doomsday weapons taken offline, stored, and hopefully, dismantled. I'm glad because I know, without a doubt, that both my wife's family in the East and my own family in the West are a little bit safer as a result. P.S. While attending the DuckCon science fiction convention last year, I was present for a panel discussion about World Building in Fiction hosted by Alan Dean Foster, Roland J. Green, and other distinguished authors. During the event we were asked to pick one favorite book that we would choose to take if we were ever stranded on a desert island. My choice was The Mote In God's Eye, and I was doubly proud of my answer when I saw Alan Dean Foster smile and nod his head in understanding at my response. The late, great Robert A. Heinlein blurbed the cover of The Mote In God's Eye with these words: "Possibly the finest science fiction novel I have ever read." I wholeheartedly agree. The Mote in God's Eye, by Larry Niven and Jerry Pournelle, is a science fictionnovel that was first published in 1974. The story is set in the distant future of Pournelle's CoDominium universe, and charts the first contact between Mankind and an alien species. The title of the novel is a wordplay on Luke6:41. The book describes a complex alien civilization, the Moties. The Moties are radically different (both physically and psychologically) from humanity in ways that become clearer over the course of the book. The human characters range from the typical hero-type in Captain Roderick Blaine to the much more ambiguous merchant prince and suspected traitor Horace Bury. 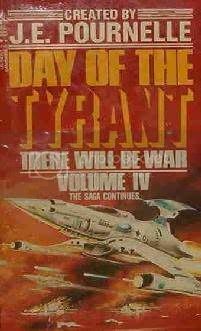 Robert A. Heinlein, who gave the authors extensive, detailed advice on the novel, blurbed the story as "possibly the finest science fiction novel I have ever read". The novel is an example of hard science fiction in that close attention is paid to scientific detail. Larry Niven and Jerry Pournelle are noted for writing in this genre, and it is especially evident in this work with regard to the theoretical mechanics and physics of interplanetary travel. The book's Alderson Drive and Langston Field are literary inventions, but they are presented against a background of established science knowledge. One interesting aspect of the novel — in comparison to other works of science fiction — is how the alien race's psychology is influenced by its physiology. Prior to this work, most aliens in science fiction would have a physiology radically different from human, but act and think in much the same way. 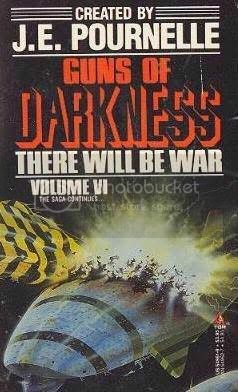 A sequel to The Mote in God's Eye, entitled The Gripping Hand, was written by the same authors over twenty years later. It was published in the UK and other countries as The Moat Around Murcheson's Eye. So, so I found this site while looking for stuff to use in a political diatribe. Our new president is promising to bring home our people from Iraq, which may not be all that difficult, since we have been heading in that direction for quite a while, and the plan from the beginning was to get rid of Saddam's regime and let the Iraqi people figure out what to do next. So, now that Iraq is not a disaster, we don't see much about it in the news, and the liberal Democrats can keep on talking about how military power isn't important. Our new leader is going to invite Ahmadinejad, and Chavez, and Kim, to the White House for a photo op in the rose garden; you be nice to the terrorists, Fancy, and they'll be nice to you. but I haven't been able to find the longer, prose version of that, from the first book of There Will be War. So, I found this site, while hunting for that quote, always did enjoy hunting. Out of kindness, I suppose. Actually, the US went into Iraq to destroy weapons of mass destruction. That was the justification that Colin Powell presented at the United Nations, remember? And, as we know now, there were no such weapons. The get-rid-of-Saddam rationale came later as spin. I will always believe that Iraq's oil resources and Saddam's potential threats to America's existing sources of oil were the actual reasons that the US went into "the sand box". But now Iraq ranks as one of the most corrupt nations in the world, pretty much a disaster, with thousands of Iraq refugees scattered across the Mideast, fearful of returning to their homes. I expect Iraq to eventually become a hostile, very un-American Islamic republic sometime in the future. President Obama has made no statements about inviting thug dictators for official visits. He has said that diplomacy and negotiations will be essential in his administration. For those who wail and gnash their teeth over that, I would point out that even during the worst parts of the Cold War, the US and the USSR negotiated. We talked to each other, through both official and covert channels. It would have been stupid not to communicate. Too much was at stake. There are plenty of progressives, like me, who believe in strong national defense. I know, on many levels, that Pournelle is right. There will be war, hate it though we may.